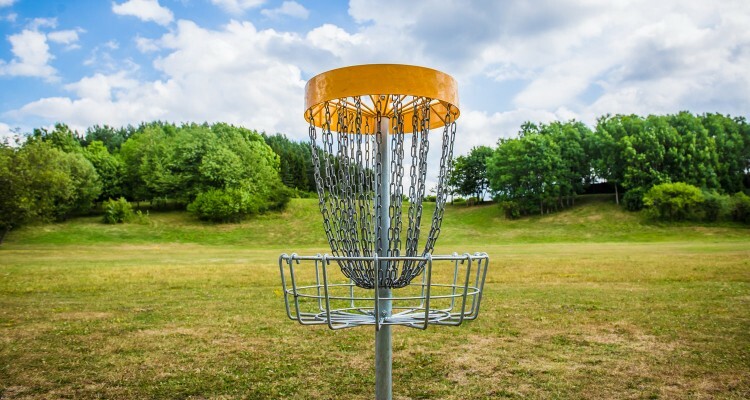 Disc golf offers park and facility planners a flexible option to expand recreational sports to their patrons. Disc golf is an excellent option for an off-season activity. The lack of expensive equipment makes disc golf a great fit for rentals and sales on-site. Mountain resorts have discovered disc golf can attract visitors during the warmer months. Use chair lifts to increase revenue and create a unique disc golf experience. With enough land, you can build disc golf courses limited only by your imagination. Pay-to-play can be successful in areas without disc golf, and in areas with busy courses. Run tournaments, leagues and series to increase player turnout. Disc golf can increase revenue from greens fees at traditional golf courses, especially at Par 3 and executive style courses. A strategically designed dual golf/disc golf course can give players the option to play golf or disc golf, together. Disc golf can exist alongside other activities. Disc golf teaches self control, hand-eye coordination and etiquette. For those who are not interested in team sports, disc golf is a great option.